What an adorable book! As a teacher, I love books that model appropriate behavior for young kids. An impressive blend of original and entertaining storytelling with colorfully charming illustrations, "Jilly's Terrible Temper Tantrums: And How She Outgrew Them" is very highly recommended and certain to be an enduringly popular, "kid friendly" addition to family, preschool, elementary school, and community library picture book collections. Jilly is a character that is easy for a child to relate to, which in turn makes it easy to point out to your child examples of poor/unwanted behavior. As an added bonus, Jilly's parents' reactions to her behavior and solutions are good examples for the parents of those children that relate to Jilly. So, win-win for everyone involved. This children's picture book is just as good for the parents or adults reading it as it is for the children listening to it. Jilly, a young kangaroo, has Terrible Temper Tantrums ... When Jilly had a meltdown, her parents lovingly help her through the situation. They do not give in, but explain to her that her behavior does not help the situation. As she works through her frustrations, she realizes that she can ask her parents for help whenever she is in danger of having another Terrible Temper Tantrum. ... A great book for any family library. This beautifully illustrated book is for parents, perhaps even more than it is for children. When her parents employ Smart Love, a tantrum-challenged little kangaroo girl learns to regulate her emotions and behavior and seek comfort and assistance from adults. The methodology avoids using conventional discipline and instead employs skillful redirection and loving support. While the illustrated children's portion of the book demonstrates how these strategies would be used, the narrative at the end of the book explains the technique to the adult reader. What an adorable book! As a teacher, I love books that model appropriate behavior for young kids. 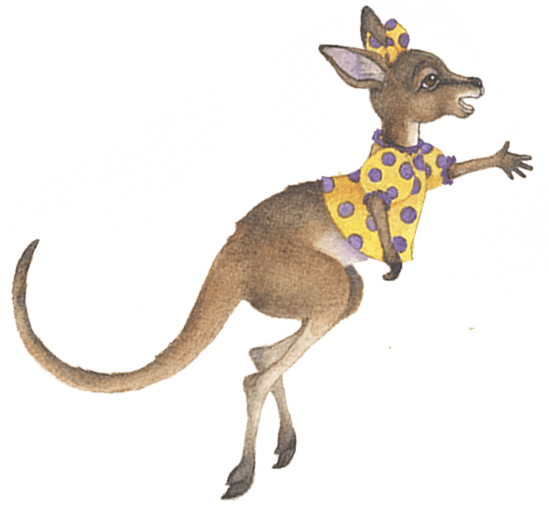 All children have tantrums at some point and this story is about Jilly, an adorable little kangaroo who has several meltdowns. Her parents lovingly show her that tantrums don't work and give her hugs and encouragement throughout her learning process. This is a great story to model how feeling frustrated is a normal emotion that everyone feels and there are ways to work through our emotions.